CYL2 - Change Your Lifestyle. Change Your Life. Lose weight, feel great and get healthy with our Change Your Lifestyle. Change Your Life. program! You’ll get your very own coach to teach you how to cook your favorite foods in a healthier way and how to add fun to your workouts. And because you take the classes with a group, when you’re having a rough day and feel like slipping back into your old habits, you’ll have people there to keep you on track! 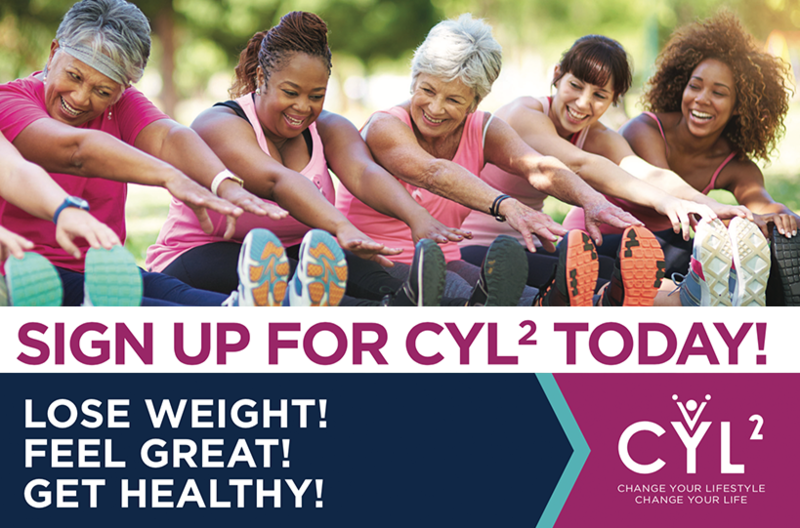 CYL2 outperforms similar programs, helping you drop the extra pounds and reduce your risk for type 2 diabetes and other chronic conditions, such as heart disease and high blood pressure.